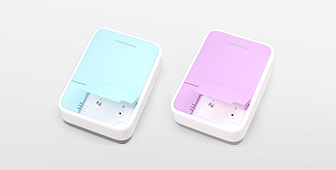 Since the OralChroma uses gas chromatography technology, causes of halitosis can be precisely analyzed to confirm breath odor diagnostics treatment. DataManager is a graphical software providing halitosis strength level, patient's data history, etc. You can freely select where to place the OralChroma without being worried about permanent installation. * OralChroma is a measuring device.